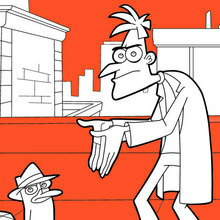 Find out your favorite coloring sheets in PHINEAS & FERB coloring pages. Enjoy coloring with the colors of your choice. 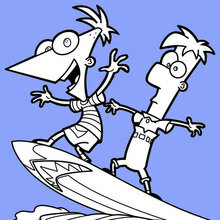 The Hellokids members who have chosen this Phinéas, Ferb and Candace on a surfboard coloring page love also PHINEAS & FERB coloring pages. Check it out! You will find your favorite coloring sheets.